I grew up going to camp, camping with my family and then working at camps. When I think back to summers they are filled with memories of campfire songs, canoe tipping adventures, leadership lessons learned on a long hike up a mountain, swatting blackflies and deep conversations as the last embers from a fire burned out. Here are 8 reasons to get your kids & youth involved with camp – whether you are a parent, youth leader, pastor or someone that wants to invest wisely in the next generation. 1. Camp gets personal – Camp allows an opportunity for a kid’s faith to become their own, as they are away from their parents, home church and usual environment. They are encouraged to listen for and respond to God in fresh ways for themselves. 2. Camp is a confidence builder – At camp you are thrown into trying new activities encouraged to use your gifts and skills in new ways. Without parents and siblings there, kids have to figure it out for themselves and dig deep to find their own inner strength. Kids receive lots of support and encouragement from staff as they try out their independence in new ways. 3. Camp is a memory creator – Stories and experiences from camp stick. Talk to anyone that went to camp as a kid and they will still have stories to tell and lessons to shared from camp. 4. Camp invites simplicity – In today’s complex world camp is a great get away. It allows the space and environment for kids/youth to reconnect with creation, with others, and with God. 5. Camp provides role models – Camp staff are amazing people for kids to look up to as they see faith lived out within the day-to-day community of camp. 6. Camp promotes community – Camp is an accelerated bonding experience. I’ve seen so many kids arrive on the first day of camp unsure, shy, feeling like they don’t know any one and then by the end of the camp they have a best friend(s) for life. Parents/leaders we need to find ways to help these kids/youth continue these connections after camp and have community all year long with others who are exploring Jesus. 7. Camps rock at leadership development – Camps are always identifying kids, youth and young adult who can be leaders. They give these young leaders amazing training from a young age, give them real practice in trying out their leadership skills and mentor them along the way. Camps are exceptional incubators for leadership development. 8. Camps are an amazing deal – Seriously, they provide: food, cabins, programming, activities (amazing ones) and spiritual influence every day. Camps do a lot with our money. Next week I’m speaking at one our camps and I can’t wait to be back at camp! 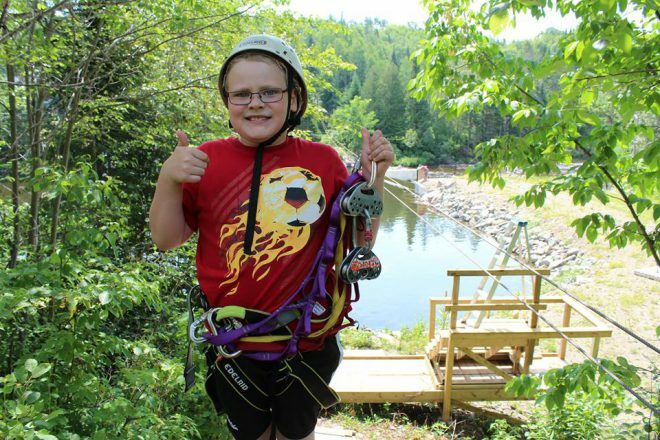 In Atlantic Canada there are 14 CABC camps spread around our four provinces. You can find the list of camps with a link to each of their websites HERE. There are lots of other great camps too. Create your own memories and nicknames – get to camp!